Come on in! 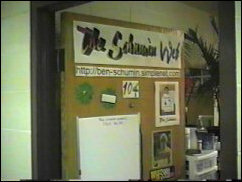 This is how my door looked (for the most part – the pictures changed from time to time) during my freshman year. This was my corner – my “office”, so to speak. 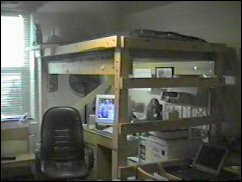 I had a loft bed, and the computer resided underneath said loft bed. I had a black chair for most of the year, and then after that chair’s base finally gave in, I ended up getting a new, sturdier office chair. 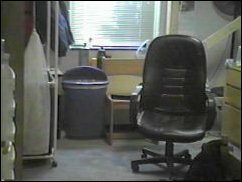 Standard residence hall chairs? Uh-uh. Hurt my back. I bring my chair from home. 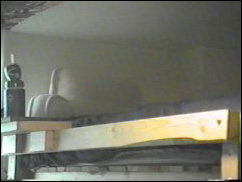 You can take a closer look at my actual bed in the picture below. And no, I did not hit my head all too often, despite the low ceiling. This is an up-close of my “office”. 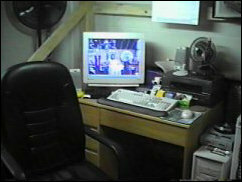 Note that this was not an optimal set-up, because the monitor was not straight ahead, as I would have liked. 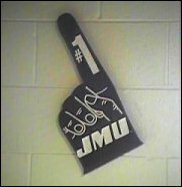 JMU is number one, and it’s about time you knew it! This thing was on the ceiling. 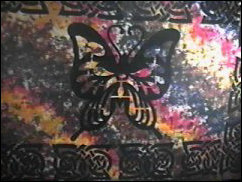 I bought it for the colors, and it’s quite nice, but I just never could find the wall-space for it. 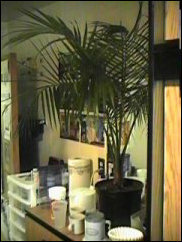 And here’s the plant again, as we look towards the door. Another view of the room, this time from the center. 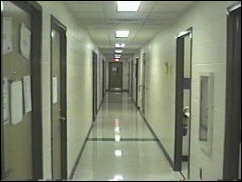 McGraw-Long had nine hallways like this. 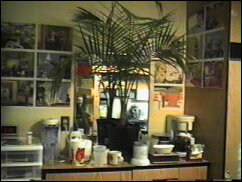 Ours was unique, though, in that we had a study lounge, the laundry room, and the kitchen. 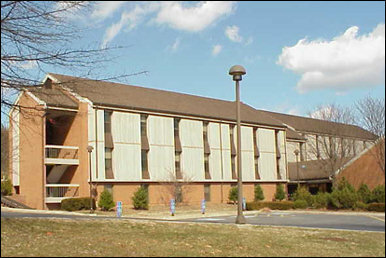 My room is on the left side, at the end of the hallway. 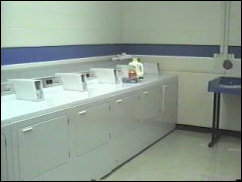 The laundry room… brings back memories, all right. Dancing, singing, and of course, waiting for the laundry to finish. 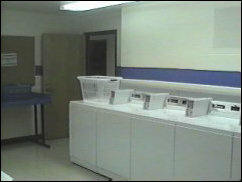 Six washers, and six dryers.